Home / Posts tagged "Middle Eastern food"
I was stung by a ruthless bee outside a Middle Eastern restaurant in Fitzrovia called Honey and Co this past Saturday. Strange but true…and rather painful. Ouch. However, this post is not about the mean bee. It is about the gorgeous food at Honey and Co. Food so incredible that even a nasty bee sting is almost forgotten. 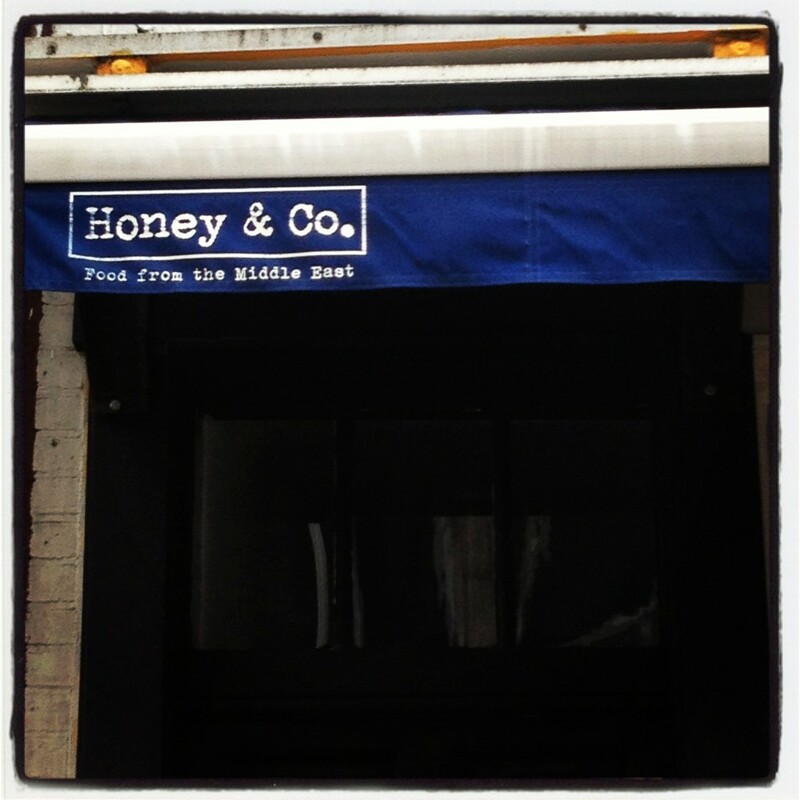 Honey and Co is all about fresh, simple and delicious food from the Middle East. The husband-wife team of Sarit Packer (former head chef at popular Ottolenghi/also former head chef at Nopi) and Itamar Srulovich (Israeli chef trained at several eateries in Tel Aviv) took inspiration from their childhood to create the gorgeous, wholesome dishes served at Honey and Co.